Dental Health Week, which takes place in the first full week of August (6 to 12 August), is the Australian Dental Association’s (ADA) major annual oral health promotion event. This year’s theme is #watchyourmouth. The aim of the week is to educate Australians about the importance of maintaining good oral health, by promoting four key messages. And during Dental Health Week, the ADA and A Plus Dental are encouraging everyone to visit their regular dentist and if you don’t have one, to find one and get your oral health back on track. This is important because not all Australians are lucky enough to have perfect dental health. For instance, 65% of Australians haven’t seen a dentist in the last two years, and nearly 40% never floss or clean in-between their teeth. That’s why Dental Health Week is so important with its emphasis on educating people about good oral health practices. What Are The Four Key Messages? Teeth should be cleaned systematically, starting at the back with the toothbrush bristle at the gum line on a 45° angle, brushing gently in a circular motion. If you scrub too hard from side to side, you can cause your gums to recede, and damage your tooth enamel. Choose a toothpaste with fluoride (NOT for infants and young children) and replace your toothbrush every 3 months. If you have limited dexterity, a powered toothbrush may be a good option since it does a lot of the brushing for you. Nearly half the surface area of your teeth lies between them, and it needs cleaning, too! Keeping the thumb and index close together, gently guide the floss between the teeth, taking care not to harm the gums. Be sure to work both sides of the gap to ensure the sides of both teeth are cleaned equally. To clean the tooth at the point it meets the gums, curl the floss and insert it gently under the gum. Our eating habits and diet play a major role in tooth decay. Sugars in the food and drinks we eat are consumed by bacteria that excrete acids that attack the outer layer of tooth enamel to cause decay. Further, a bad diet can harm the immune system, making gum disease and infection more likely. Limit your sugar intake as it is the largest single cause of tooth decay. Regular dental visits are essential in maintaining healthy teeth and gums. During your checkup, your dentist (or hygienist) will likely evaluate the health of your gums, perform a head and neck examination and examine your mouth for any indications of oral cancer, diabetes or vitamin deficiencies. Your dentist or hygienist will clean your teeth and give you any oral hygiene tips they think are appropriate. 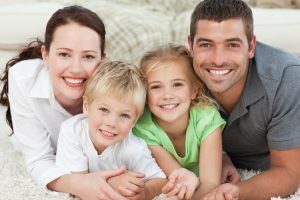 At A Plus Dental, our goal is to give our Campbelltown area patients, from infants to seniors, with caring, relaxed treatments in a calm and welcoming environment. When you choose A Plus Dental, you take the next step towards a beautiful, healthy smile with teeth that feel great in your mouth!! We have over 30 years of experience combined and treat each of our patients with the utmost care and respect. 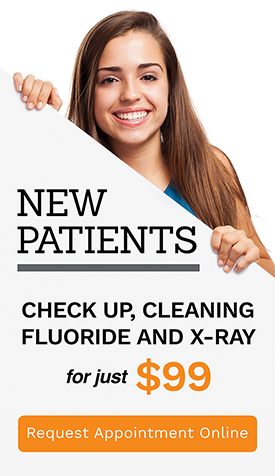 $99 New patient deal which includes Check up, Cleaning, Fluoride treatment and two X-rays.